Fuel Your Workouts. Boost Your Results. Assists energy production and power output, resulting in improved muscle size and strength gains. Helps reduce muscle cell damage and inflammation following exhaustive exercise. Hydrates muscle cells to support an optimal anabolic environment and stimulate protein synthesis. Assists lean muscle mass by boosting intracellular water content and serves as a stimulus for protein synthesis and muscle fibre growth. Helps rapidly resynthesise ATP, the ultimate form of energy for muscle contraction and explosive, quick-burst movements. Supplies muscle fibres with immediate energy to stave off premature fatigue. Assists the recovery rate of muscle cells, enabling higher frequency training for greater muscular gains. 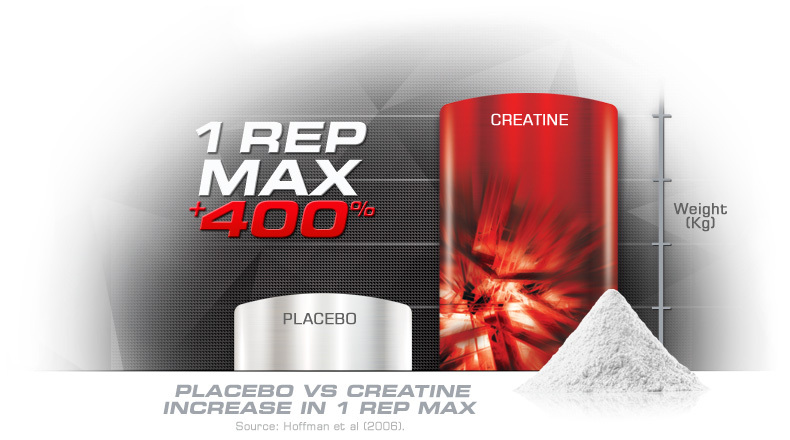 Over 10 weeks, athletes showed significant strength improvements in 1RM with creatine supplementation vs the placebo group. 1 Rep Max (1RM) = the maximum amount of weight someone can lift in one repetition. 100% Pure Pharmaceutical Grade Creatine Monohydrate. Made in Australia from local and imported ingredients. Raises phosphocreatine levels in muscle for greater ATP production, the ultimate source of energy for muscle contraction. Maximum results without the unwanted side effects including headaches, irritability, sleepless nights, energy crashes and nausea. Advanced refinement process delivers a powerful formula free from added sugar. 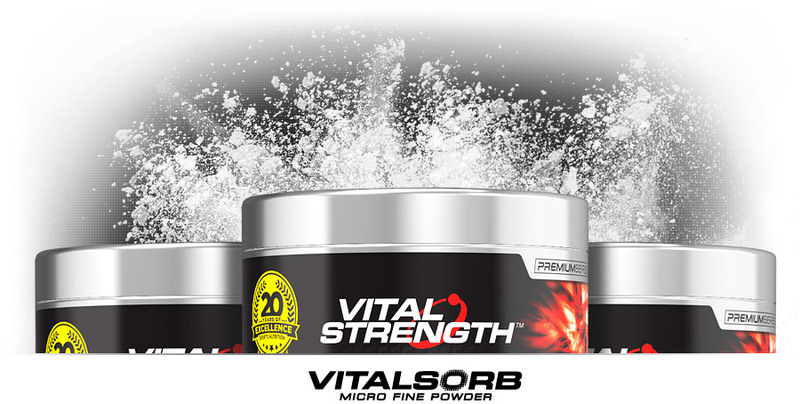 Been using this supplement and a few others from vital strength for a while now. Not only are the products affordable but they are worth every cent. Shipping is always very prompt as well; I haven't waited more than 2 days after ordering. 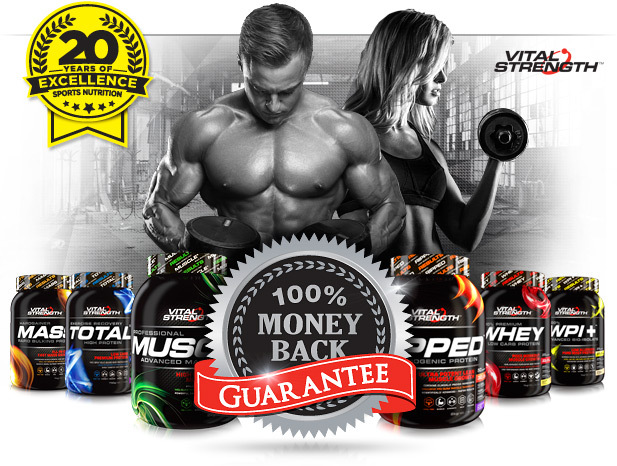 I have been using this product for about a week now and have found it to give me a great muscle pump during my workout's and also I have found it has aided my recovery the next day. Mix 3g into water or juice and stir until dissolved. Consume 20 minutes before training. Serving size and frequency may be increased for athletes after consultation with a fitness or health care professional. This product may be used by professional athletes undertaking a Creatine loading or maintenance regime. 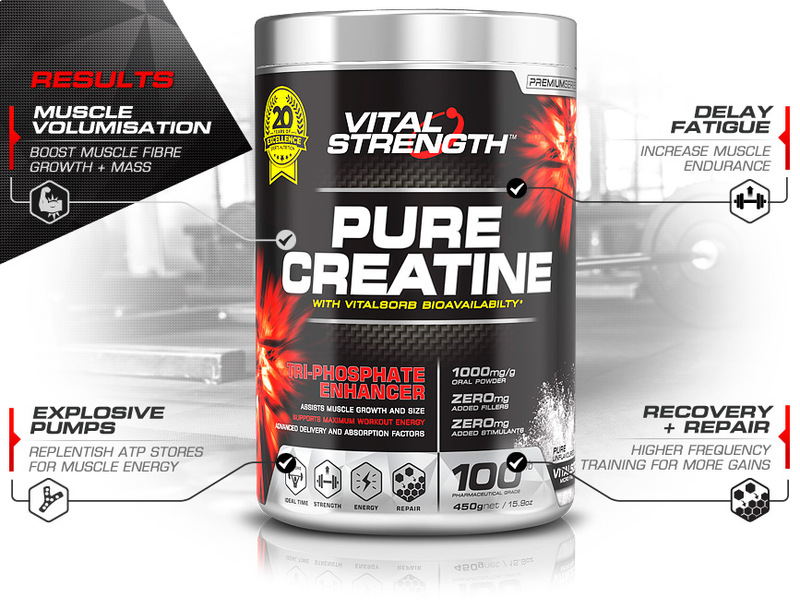 100% Pure Pharmaceutical Grade Micronised Creatine Monohydrate. Made in Australia from local and imported ingredients.